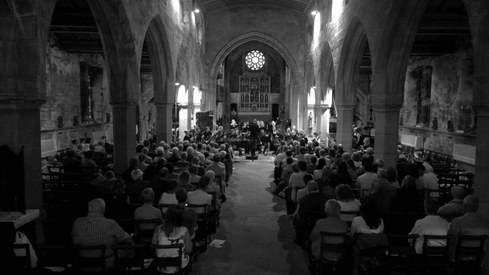 This submission outlines the local economic environment in which the Glossop Music Festival operates, how the festival is developing its ethos and aspirations, how it contributes to community well-being, and its benefit to regeneration locally. It demonstrates how it achieves “Great art for everyone” by bringing professional musicians of the highest quality to a range of public venues across the town; records evidence of the commitment to the development of audiences in both numbers and socio-economic make-up, and of the provision of significant sources for the inspiration, education and motivation of young people. It illustrates techniques of innovative ticketing and links with many local schools. In conclusion, it suggests how it helps to make Glossop an even better place to both live and work, and offers a Case Study of what a small local festival can achieve in just a few years by drawing on local enterprise and connections.